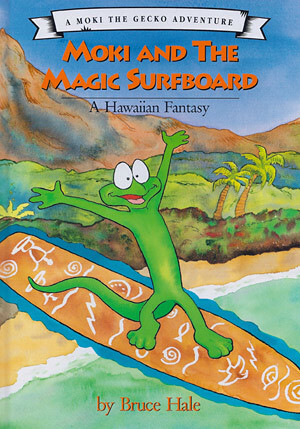 Moki is a little Hawaiian gecko who wins a magic surfboard from an ancient menehune (Hawaii’s homegrown elves). The gecko finds the board can do much more than help him catch waves. On the magic surfboard, Moki flies, goes underwater and travels through time. But in the end, he must choose between magic and friendship.